Theresa Kenny was born on the July 14, 1925. 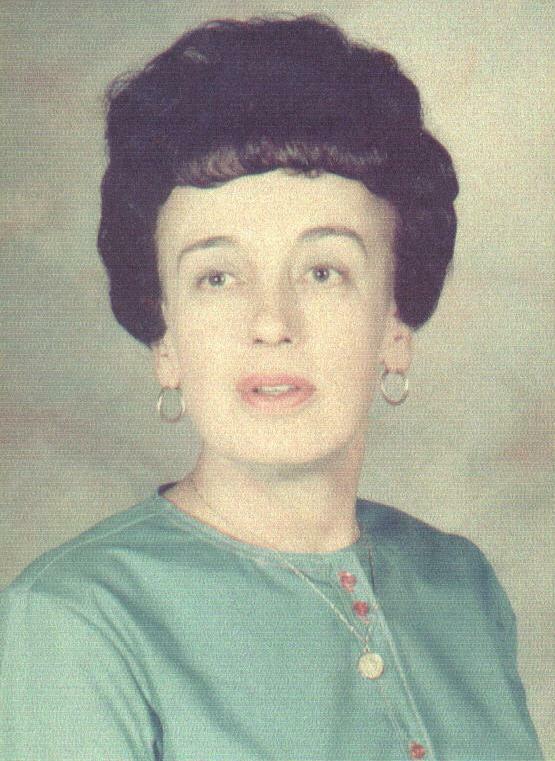 Theresa Kenny moved to San Antonio from Austin, Texas in the summer of 1942. Once she arrived in San Antonio she began to work at Studers Photo Co. at Studers Ms. Kenny began work as a studio portrait "tinter." As a tinter Ms. Kenny would paint over black and white photos with oil paints to make them appear as photo paintings. 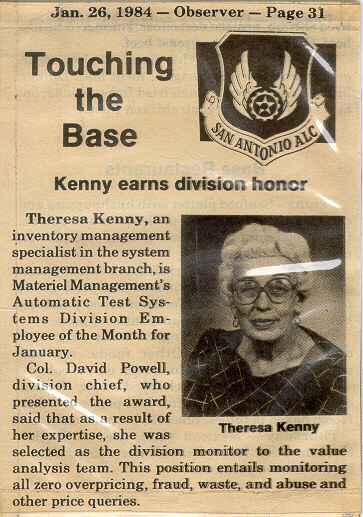 After her short stint at Studers Photo Co. Theresa went to work for Kelly AFB. She worked at Kelly for over 50 years. 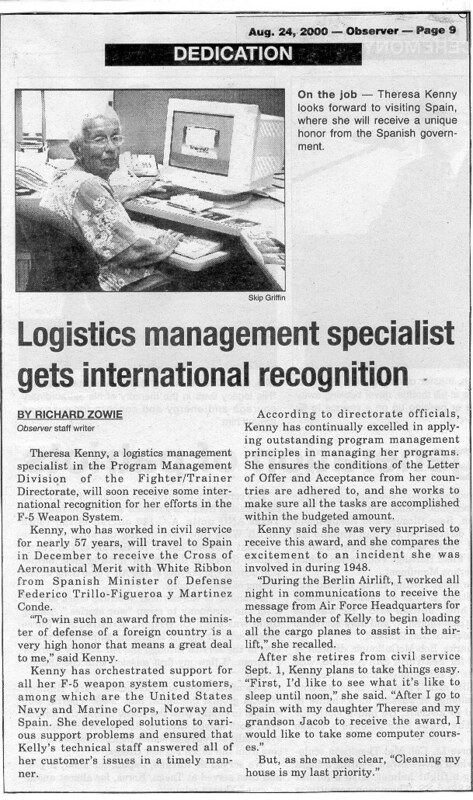 While at Kelly, Theresa received much recognition for her outstanding work as an F-5 parts manager. In December 2000, Theresa through her work with the Spanish Air Force, she received the White Ribbon. The White Ribbon is the highest recognition that the Spanish government gives to citizens. Currently Theresa is retired and lives off of Judson Road and says that if Kelly Air Force Base was still open she would still be working there. How many people lived in your household during the Depression? I lived with my grandfather, mother, three aunts and one uncle in Austin Texas. What did your parents do to make money? My grandfather had his own home garden, and would sell the vegetables to make money. My father wasn't present in my life. 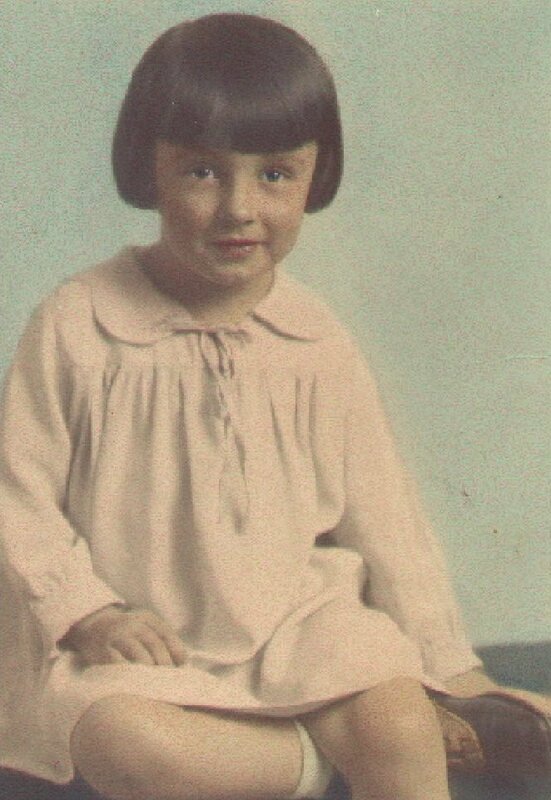 My mother Mary M. Phillips did not find a job until Roosevelt passed the Work Progress Administration. After that she began teaching night-school for the WPA. One of my aunts was a librarian at the University of Texas, one was a teacher at Palms High School and the other sold books at a local book store. What types of jobs were available during this time? The only jobs available were school-teachers and side jobs, such as home gardens. When World War Two started we moved to San Antonio in June of '42. What types of food would the family eat during the depression? The family would eat a lot of vegetables. Beef was expensive for the family so they would only eat salmon on Sundays because it was the cheapest meat available. How did the depression effect your family? It made me realize that you have to work for your money in order to survive. I feared poverty and living without a job. We didn't have a car until I started working at Kelly. We went everywhere on the street cars. Also everything was rationed like food and shoes. When the stock market crashed I remember people jumping out of the high building of New York because they lost their money. How did you get started as a studio portrait tinter? World War II started after December 7th 1941 when the Japanese bombed Pearl Harbor, Hawaii. I graduated from Austin Senior High School in May 1942 (age 16) and moved with my mother to San Antonio, Texas, where my mother had obtained a job as a typist at Kelly Air Force Base. One day I took a roll of film in to Studers Photo Co, San Pedro Ave, San Antonio TX to be developed. Studers's had an opening for a "Tinter" to paint black & white & sepia photos to color. Color pictures had not been invented yet. How old were you when you began? Studers Photo Co, San Pedro Ave, one street north of O'Kent Floor Covering Company, San Antonio TX. How were you trained for this position? Another "Tinter" who worked at Studers taught me how to tint photos. Were any of your relatives portrait tinters? No, I had just wandered into Studers to develop my film and I noticed a job opening for a Studio Tinter. It was convenient because I needed a summer job. How many hours did you work a day/week/hour? In those days the work week was Monday through Saturday. I worked eight hours a day. I was paid the good amount of thirty-five cents an hour. Were you paid per painting or per hour? By the hour. I never got too many bonuses for painting more photos because I took my time on each photo I tinted to make the colors just right on each photo tinted. June 1942 til September 1943. Fifteen months. I started working at Kelly Air Force base as a teletype operator in October, 1943 when I was eighteen years old. I worked my way up and stayed working there for FIFTY NINE years! What tools/paints did you use to make the portraits so realistic? I used Marshalls Photo Oil Color Paints and I used cotton swabs and Q-tips to brush the paint on. What made portrait painting obsolete? The development of the color camera & color Kodak paper. Did you enjoy working at the portrait studio? Yes, sometimes I would miss my lunch to finish a photo I was working on. Which do you prefer? Color photos or hand tinted photos? Color photos are modern and look more realistic. Hand tinted photos puts something special into the picture though. What kind of portraits did you enjoy tinting the most? Portraits with only one person in the print. If more than one person was in the photo, we got paid for tinting each person in the photo. For example, if three people were in the photo, we got credit for paintingthree3 pictures. Do you think there is a market for hand painted photos? No. Color photos are now cheaper, better, & do not fade anymore. Do you think people can still make a living tinting photos? No I don't think so. You can't even find "Marshalls Photo Oil Paints" to buy in the art stories anymore. No demand anymore. Are you still able to create these types of photos? Yes, Photo shops have the technology to print color photos in black and white and brown. When did Studers go out of business? I'm not too sure. I think approximately 1960. Theresa is a very sincere woman who has received recognition not only from Kelly but also from the Spanish Government. 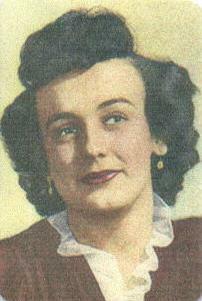 Theresa Kenny would travel to Spain very often. Theresa was considered to be a doctor in Spain so she received an award for her time and dedication. Mrs. Kenny was a strong and independent woman who survived the Great Depression. I have learned that with time brings progress. The new age things of yesterday are now the past things of tomorrow like photo tinting. I have also learned that we should value much of our older things because much more time and effort was put into them.